After taking heat for receiving support from Republicans in general, District 3 City Council candidate Anthony Bernal is now being called out for a specific donation from Doug Manchester, the conservative developer who helped finance Prop. 8. After taking heat for receiving support from Republicans in general, District 3 City Council candidate Anthony Bernal is now being called out for one donation in particular. Former San Diego Union-Tribune owner, prolific developer and Prop. 8 financier Doug Manchester and his wife made maximum donations to Bernal, a Democrat. District 3, which includes downtown but also the neighborhoods surrounding Balboa Park like Hillcrest, is home to the city’s organized LGBT community. It’s been represented by an openly gay politician since Christine Kehoe won in 1993, becoming San Diego’s first openly gay elected official. Now, Bernal has taken a combined $1,100 from Manchester and his wife. Manchester gave $125,000 to the campaign to ban gay marriage in 2008. Nick Serrano, Bernal’s campaign spokesman, said it all misses a basic point: Bernal does not agree with Manchester on gay marriage. Bernal is straight. Ward is gay. The dispute gets to a fundamental question in the race: Is being gay a prerequisite to represent District 3? Empowerment districts are those that are specifically drawn to make it more likely that minorities are represented in elected positions. Nicole Murray Ramirez, an LGBT activist in the district, published an op-ed last month saying District 3 should indeed be represented by a member of the LGBT community. “It’s a sentiment put out by our opposition that we don’t agree with,” Serrano said. Bernal isn’t the only Democrat running against other Democrats who is getting some Republican support. Ricardo Flores, chief of staff for Councilwoman Marti Emerald, is running to supplant his boss as the representative for District 9, which includes City Heights and the College Area. He’s running against environmental activist Georgette Gomez and labor organizer Sarah Saez, both Democrats. Some Republicans in town have decided to support Flores. 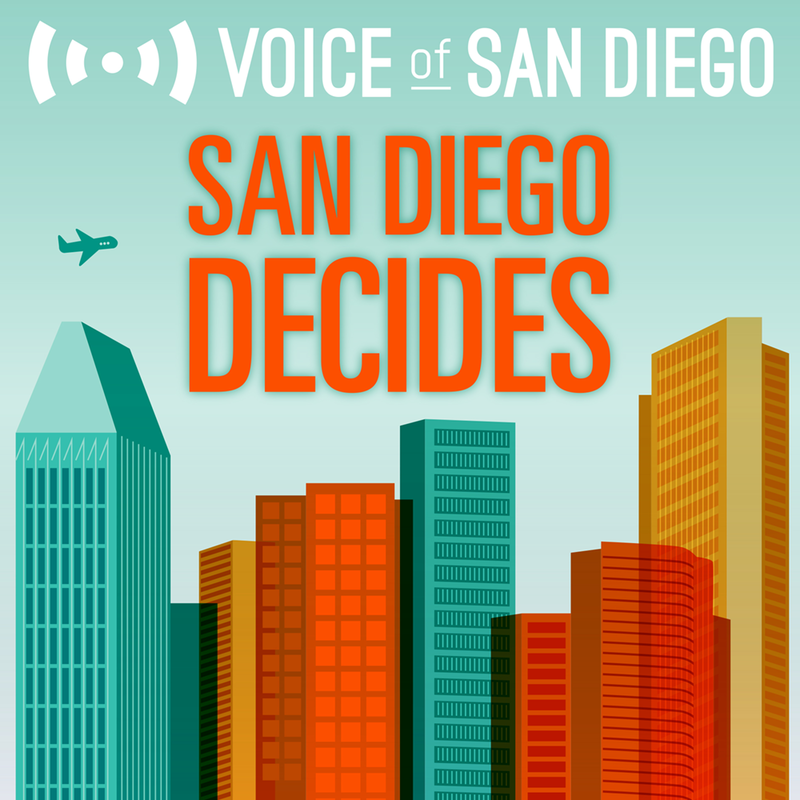 The regional Chamber of Commerce launched a political action committee supporting Flores, called Urban Neighbors United supporting Ricardo Flores for City Council 2016 sponsored by and Major Funding from the SD Regional Chamber of Commerce PAC, as the head of the Chamber’s PAC, Aimee Faucett, discussed in this week’s episode of the San Diego Decides podcast. The Chamber has put $45,000 into the committee. The group can’t coordinate with Flores’ campaign. A conservative PAC also popped up recently to support Bernal. Neighborhood Services Coalition in support of Anthony Bernal for City Council 2016 filed its first statement in late April. It hasn’t reported any contributions yet, but its treasurer is April Boling and its principal officer is Ryan Clumpner. Both regularly work for Republican candidates and causes. The story of local elections in recent years has been simple: In special elections and June primaries, when voter turnout is low, Republicans win a lot. When Democrats get to share the ballot with a presidential election in November, they win. But ahead of this year’s June election, local analyst Vince Vasquez from the National University System Institute for Policy Research projects countywide turnout to surpass recent levels. He’ll release the results later this week but first shared them exclusively with Voice of San Diego. Vasquez said he’s conservatively projecting turnout between 53 percent and 57 percent for the June 7 election. For comparison, in June 2012 – when mayoral candidate Carl DeMaio won more votes than eventual winner Bob Filner and voters approved the pension reform measure Proposition B – turnout was just 37 percent. Vasquez based his projection on turnout in the presidential primaries in states where independent voters were eligible to cast ballots. In many of those states, the election included only the presidential ballot. Competitive local and statewide races are likely to push turnout higher. “Despite the probability that both the Democratic and Republican presidential contests have effectively ended, there are still large numbers of highly motivated voters eager to cast ballots in favor and against particular candidates,” Vasquez writes. Additionally, voter registration has skyrocketed in recent months, especially among young people, Latinos and independents, he said. “This is a good indicator of high voter turnout this election cycle,” he said. It’s good news for Democrats, he said, but makes it hard to know what to expect in the competitive city attorney’s race between presumptive frontrunners Rafael Castellanos, a port commissioner, and Gil Cabrera, former chairman of the San Diego Ethics Commission. “If the vote is close between the two of them this June, Bernie and Hillary voters might play a role in the outcome,” Vasquez said. At just 23, Kyle Heiskala is an unusual candidate for City Council. But since the staffer for Council President Sherri Lightner threw his name into the race just before the filing deadline, he’s taken a low-cost route to making his case. On social media he’s run a spirited, urbanist campaign, advocating for transit and bike infrastructure improvements and commitments to increase housing density throughout the city. He has raised essentially no money. His most recent campaign finance form declares that he’s raised and will spend less than $2,000 on his campaign. When he announced, along with his boss’s husband, Bruce Lightner, it raised speculation that the two were intended to crowd the ballot so Republican Ray Ellis couldn’t get more than 50 percent of the vote in the June primary. But Heiskala says he’s running to inspire young people and to make the case for controversial policies from which the city has shied away, like increasing housing density by cutting development restrictions. You’re younger than a typical candidate. Why run now? When Joe LaCava dropped out, I felt he had the necessary experience as someone with community planning background to be in a good position on the City Council for land use decisions, which is the most important role the Council has. This was my opportunity to craft a long-term vision for the city, making decisions that shape our future. As someone in my 20s, I’m in this for the long haul. The decisions we make today affect myself and other young people way more than the people who have traditionally been making the decisions. This isn’t a hobby. I also want to inspire young people to get involved. As someone who has the right experience, I don’t see age as a determining factor. What is your experience that you feel prepares you for the position? I interned for Lightner in 2010. It opened my eyes to the potential impact local government can have in immediate and direct impact, instead of national or state legislative issues that are more abstract. One of the biggest things I’ve worked on while at UCSD was the Triton U-Pass program, which was a $20 million, five-year transit program that was designed to give all undergraduate and graduate students access to light rail and bus in the region. It’s essentially a fee students imposed on themselves. I negotiated directly with MTS, the administration and student leadership. I had a local government relations job, and I also sat on the planning group at University City as a student rep, a voting member. I started learning about land use policies and the community planning process and fell in love with it, and I always saw myself running for office someday. You mention an emphasis on housing and transit policy. What ideas are you bringing to the conversation? We absolutely have to look at increasing density in our transit corridors. Doing some controversial things that haven’t been done in San Diego, like reducing parking requirements on new construction, and putting in place real incentives to build dense housing. But that has to be coupled with strong transit policies. They are essential to each other. You can’t have successful transit without density, and vice-versa. So we should look at providing incentives for developers to provide transit passes to residents, or to build electric vehicle charging stations or car-sharing for residents, in exchange for current parking requirements. If you’re building a new apartment, parking requirements are prohibitively expensive. Currently our trolley follows highways and rivers. They don’t go through the core of neighborhoods. With additional cost, we could build transit underground in high-density areas, or put it above ground and elevated. We don’t necessarily need to be married to light rail. True bus rapid transit, if it’s separated from car traffic, can be just as effective in travel times but it’s far cheaper than light rail. We have to have a very aggressive transit system, but it needs to be coming online as density increases. • The two primary contenders for City Council District 1 have made their case on the basis of their business backgrounds. Ashly McGlone last week vetted how successful their careers were, and what it tells us about how they’ll perform on the Council. • The County Board of Supervisors had included five Republicans until Democrat Dave Roberts won in 2012. Term limits adopted in 2010 mean the faces will eventually start to change, giving Democrats reason for hope. The county is split into two districts with Republican registration advantages, and two with Democratic advantages. District 3, up for grabs this year, could prove to be the battleground for control going forward. A flip in the party controlling the board could change the way the county provides basic services, reports Maya Srikrishnan. • If Mayor Kevin Faulconer really likes the Chargers stadium plan the team is hoping to put before voters in June, he’s got a funny way of showing it. He hasn’t said a peep about whether he plans to support it. San Diego Union-Tribune editor Michael Smolens asks: Can the Chargers win without him? • Faulconer joined KPBS’s “Midday Edition” this week to discuss his re-election bid. • We had three different people who opposed the tax hike from three different perspectives on the main VOSD podcast this week. • The city has an issue with how long people are waiting on hold with 911 to reach an emergency dispatcher. Faulconer’s opponents in the June election are honing in on it, and San Diego Union-Tribune reporter David Garrick wonders if they’ve found a weakness.